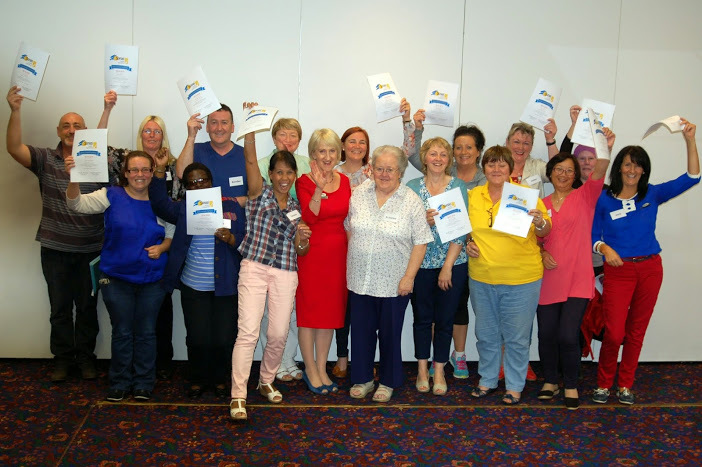 Engaging Dementia has developed a set of Sonas Quality Standards (SQS) to provide high quality training to those who wish to deliver Sonas Group and Individual Sessions, and maintain high standards of delivery of the Sonas Programme nationwide. A Sonas Licence is required to undertake the Sonas Programme. It can be obtained by completing the 3-day Sonas Course and must be renewed every two years. There are currently 800+ SLPs in Ireland. The majority work in nursing homes while others are employed in day centres or hospitals. Initial certification is given upon successful completion of the Sonas Course. A person is then certified by Engaging Dementia as a Sonas Licensed Practitioner (SLP). The first Sonas Licence renewal is done through an eModule and the second renewal on completion of a Sonas Licence Renewal Training Day. Engaging Dementia is committed to supporting Sonas Licensed Practitioners (SLPs) to carry out Sonas sessions to a high standard and to integrate the programme into care planning to maximise the benefits for Sonas Session participants. Engaging Dementia runs a certification system to recognise care centres that demonstrate a high standard of implementation of the Sonas programme. Demonstration of best practice delivery of a therapeutic intervention for people with dementia who have high care needs and are often unable to participate in other activities, whether therapeutic or recreational. Any care centre which has 2 or more Sonas Programme Licensed Practitioners (SPLPs) may apply for certification. The standard expected of a Sonas Programme Certified Centre is set out in the Sonas Programme Quality Standards Booklet (click here for SPQS booklet). If awarded certification, the care centre will be issued with an SPCC Certificate, which is valid for 2 years.